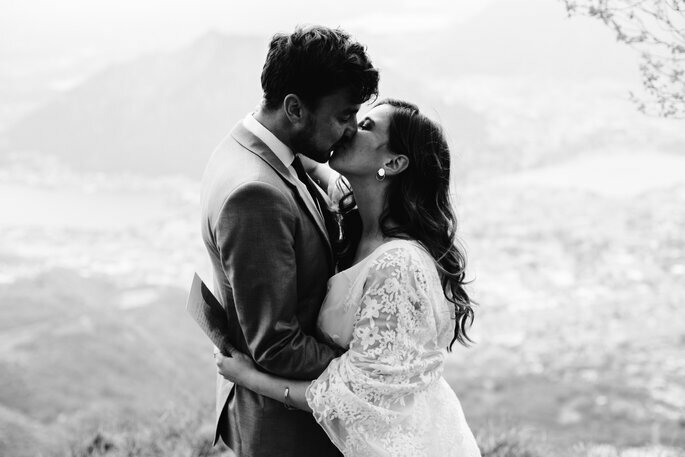 This beautiful Styled Shoot was put together by the professionals at Kleine Verhalen Videography and Leonne Photography, with the theme being a delightful mix between a classical and a bohemian wedding – which is expressed through the environment and backdrop, the style of the bridalwear chosen for the models, and the décor of the venue. 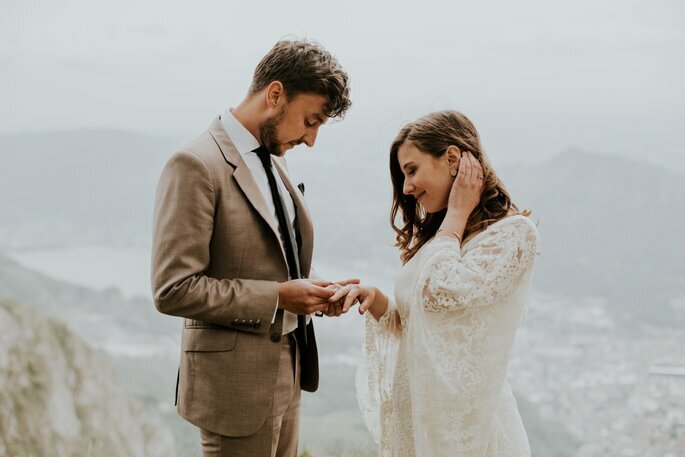 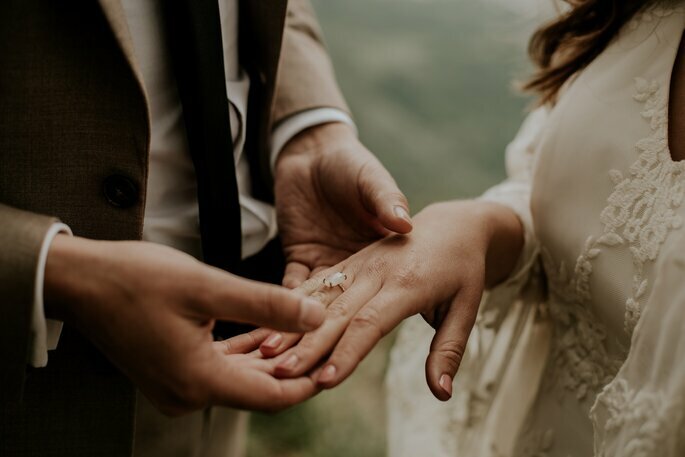 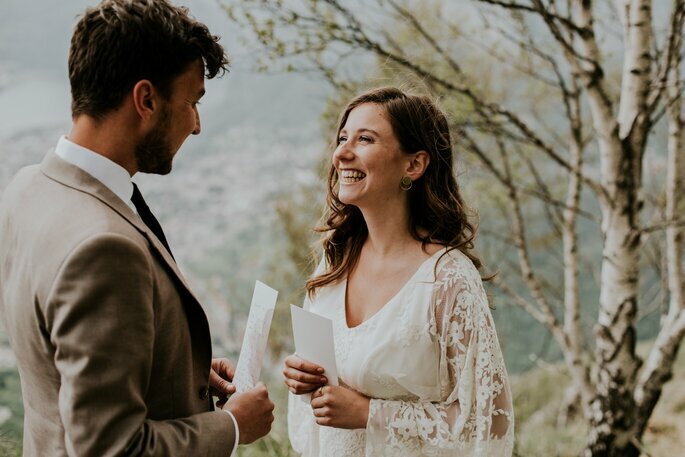 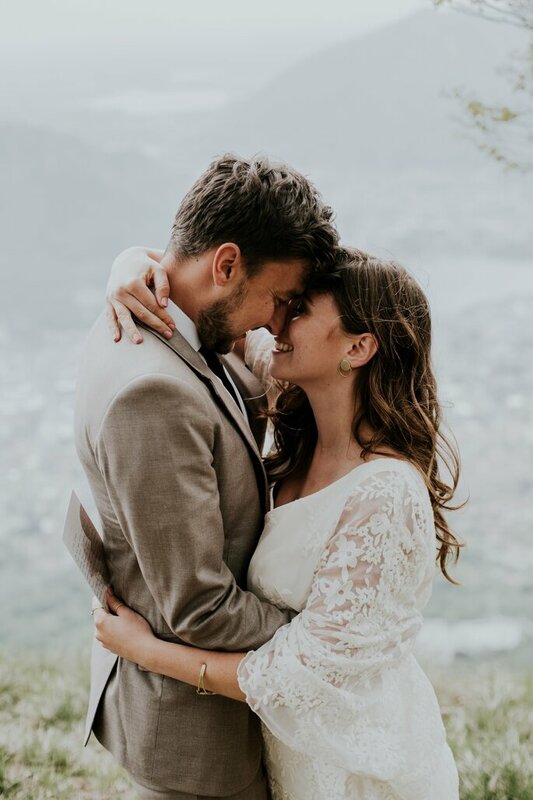 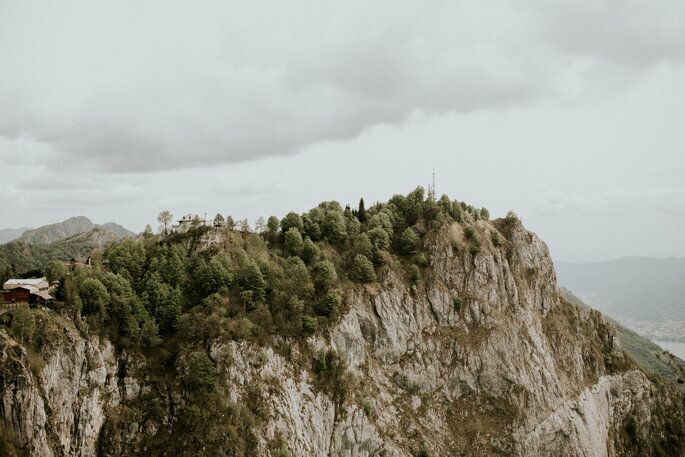 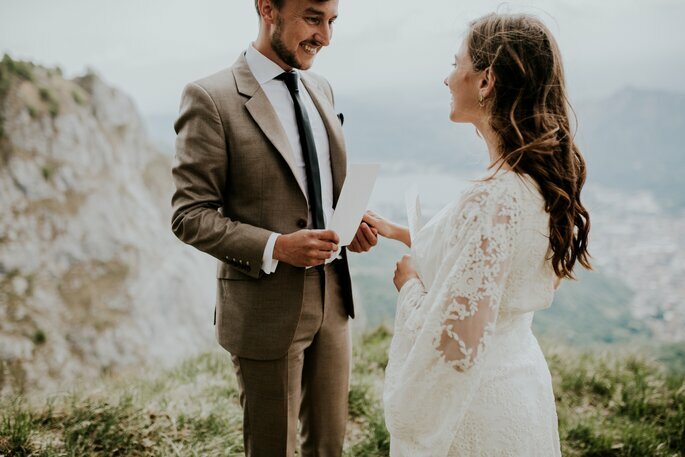 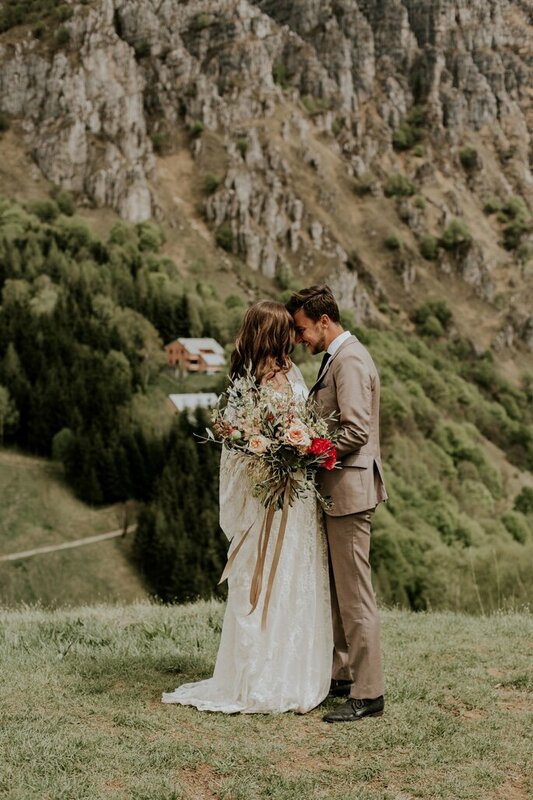 Jan-Willem and Charlotte chose adventure for their exchange of vows; they prepared in a local Airbnb, and then traversed the mountain track for an unbeatable view. 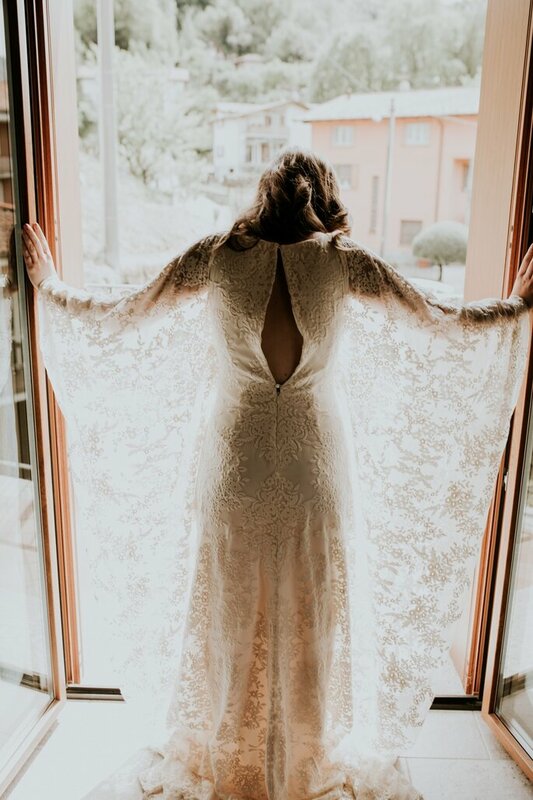 The bride’s beautiful dress came from the Otaduy brand at White & Ivory. 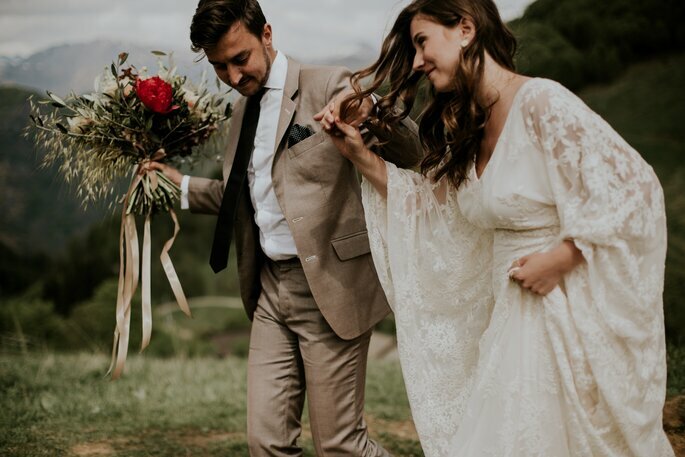 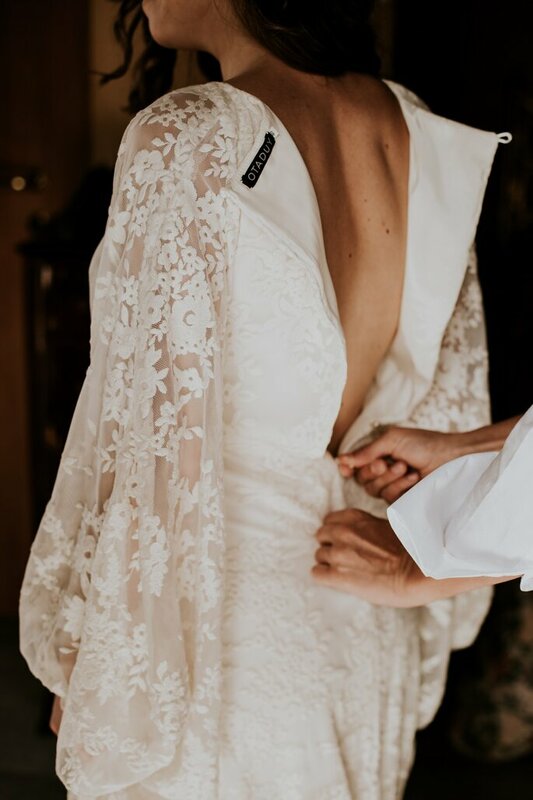 The bohemian theme shines through with her choice of gown, particularly with the floral appliqués, long flowing skirt, and the extraordinary lace sleeves. 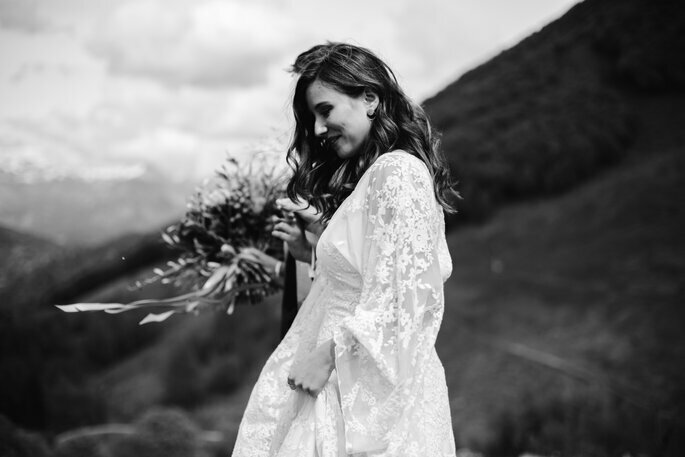 Charlotte’s hair was loose and graceful, the perfect choice for her outdoors venue. 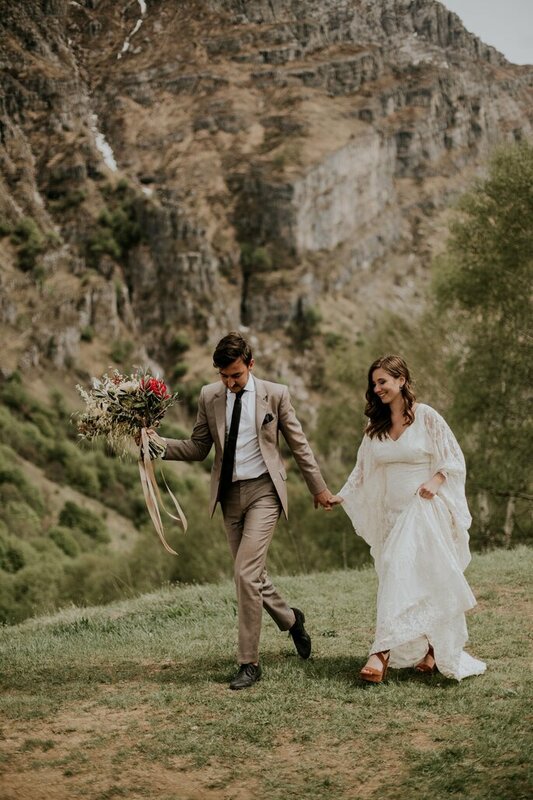 The groom’s suit fitted impeccably with the color of the flowers, which were provided De Bloemenkeuken, a highly talented Dutch florist. 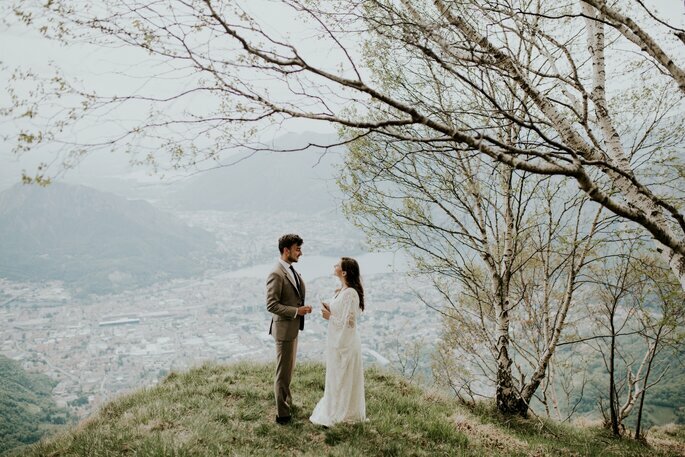 But of course, the best thing about the ceremony was its setting – the unbeatable Lake Como in Italy. 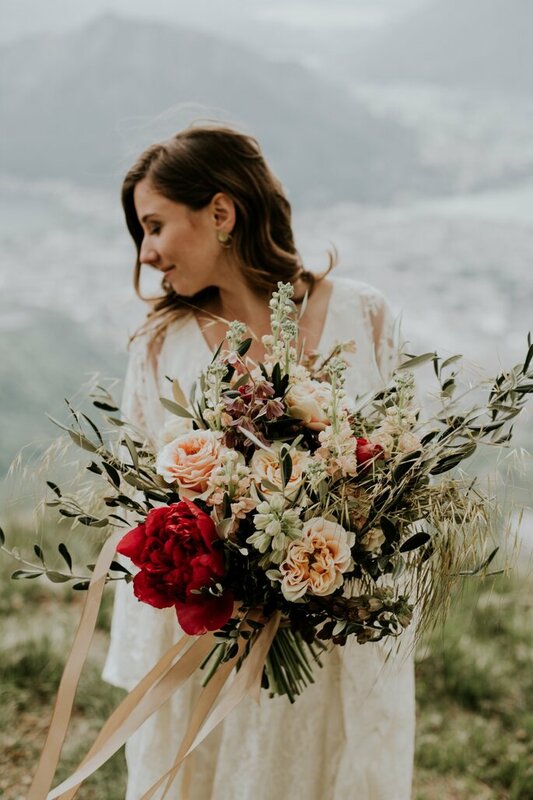 The vendors who helped to create this gorgeous shoot wanted to use it to show that behind the big day, there are many more hidden things. 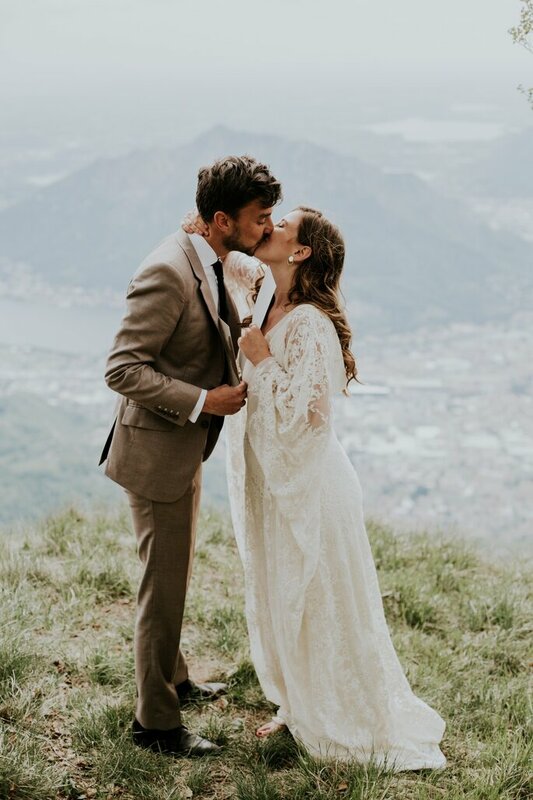 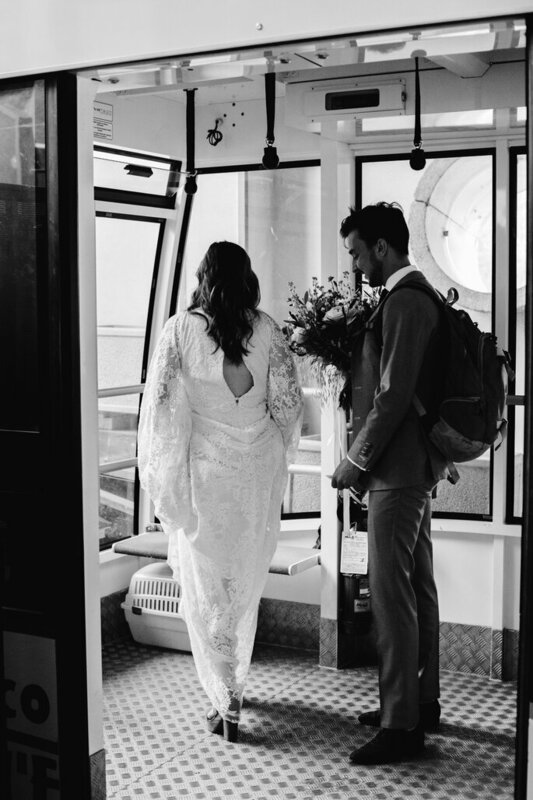 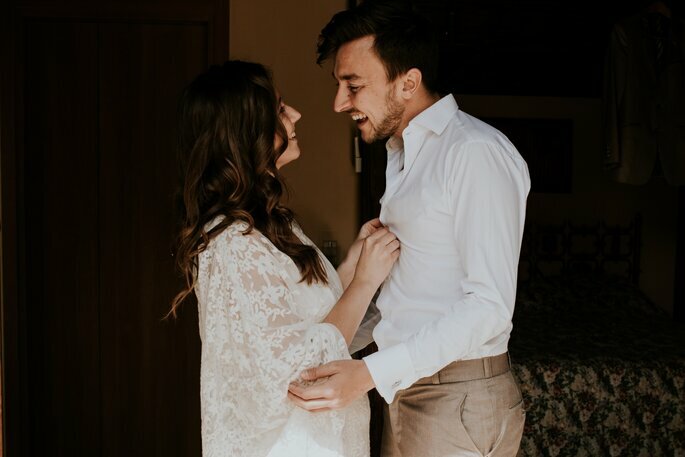 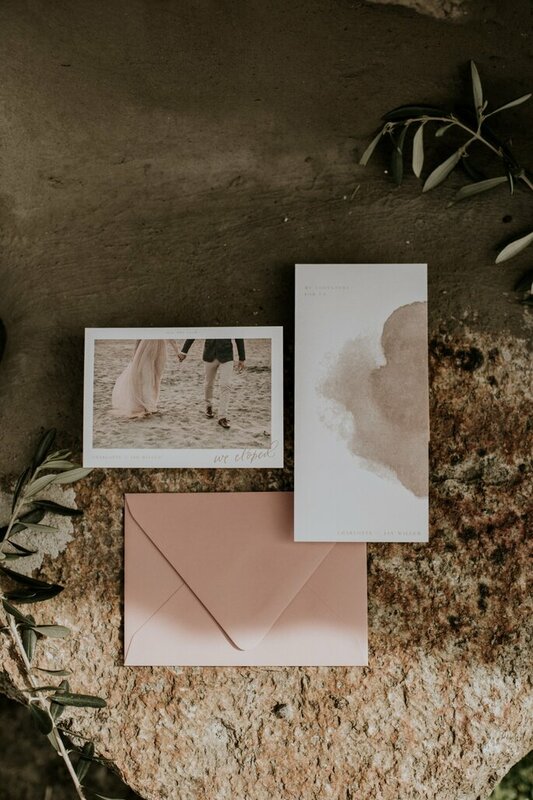 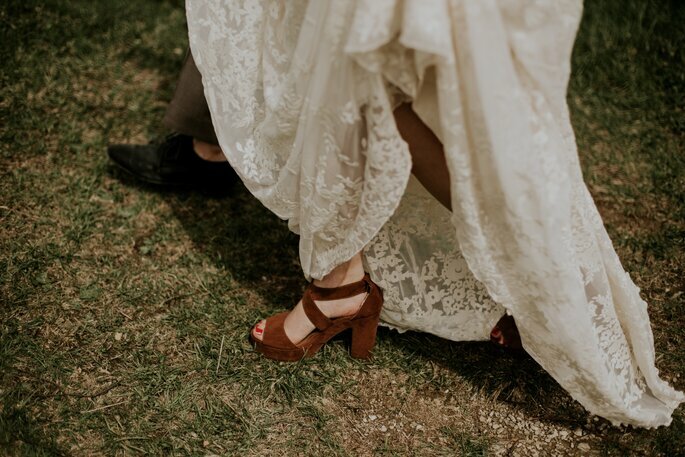 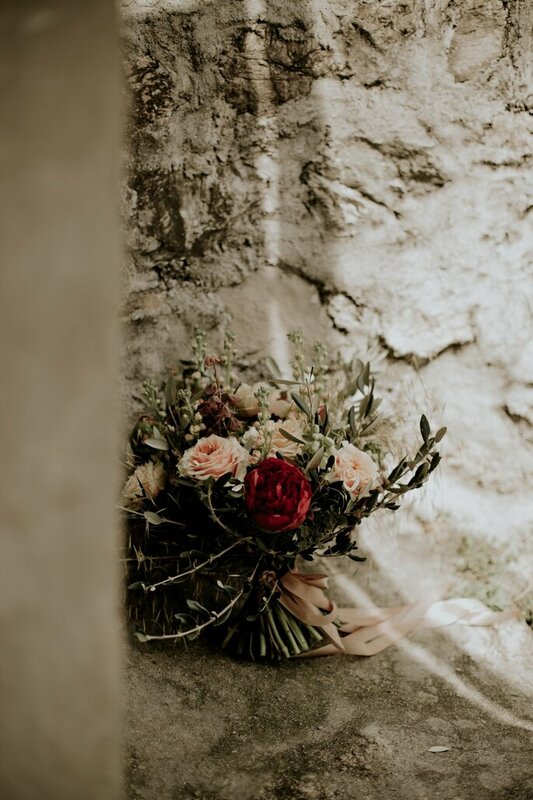 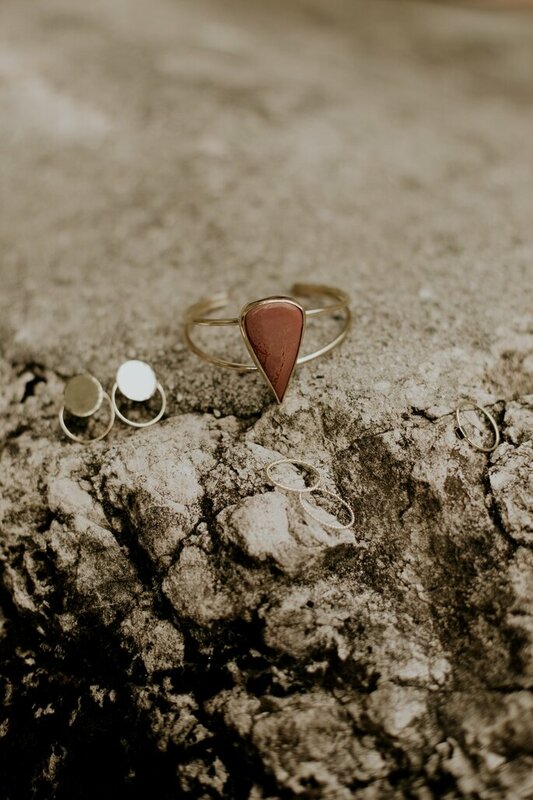 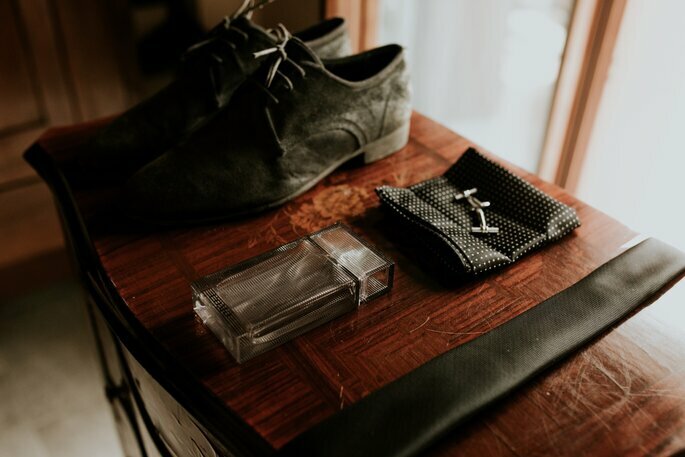 It is not just about the moment when two people are bound together as a married couple – it is about the whole experience, and the time they get to spend with one another (particularly during an elopement – the most intimate way of getting married). 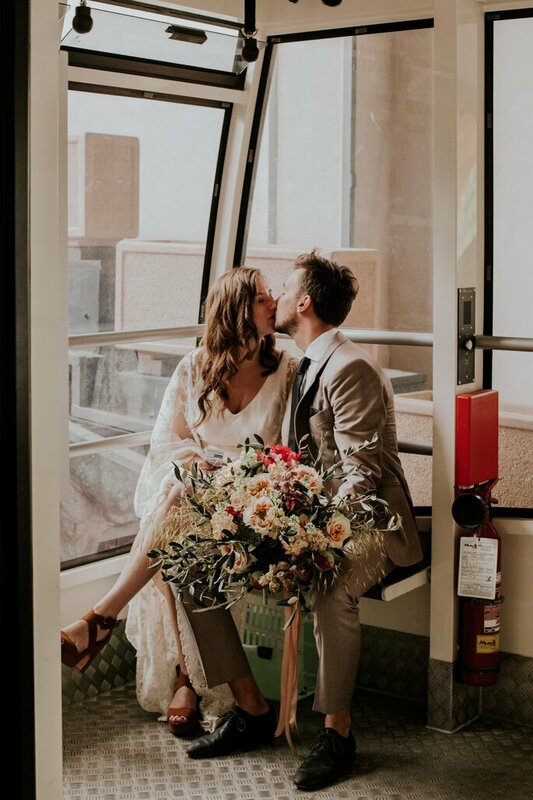 It is fantastic to see how personal each couple can make their ceremony! 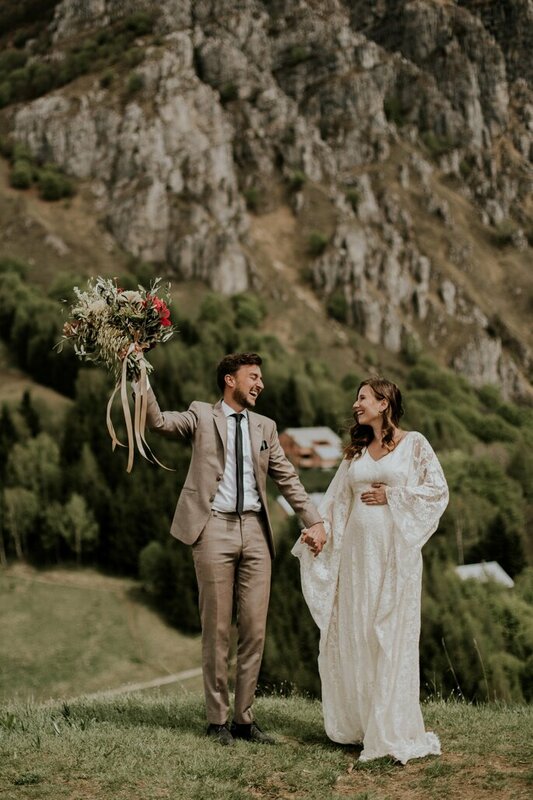 And this couple’s adventure has only just begun. 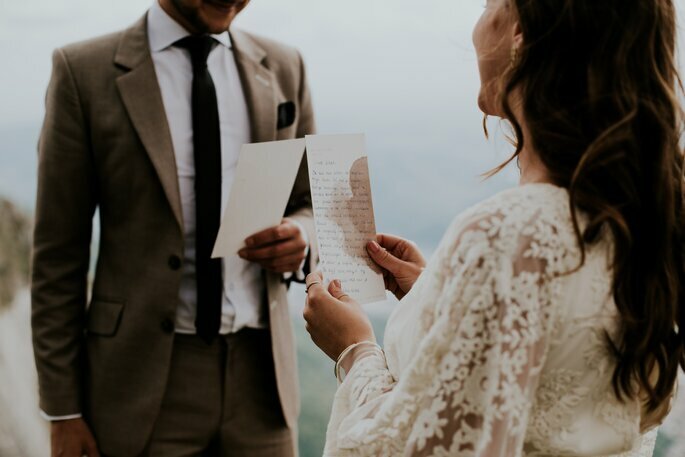 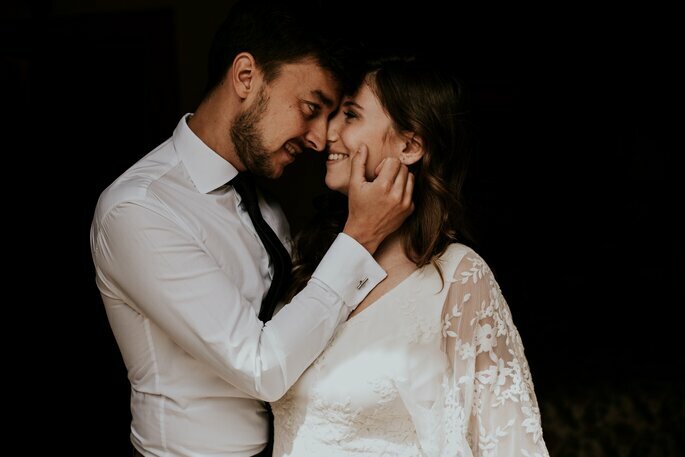 Having written their own wedding vows, this couple has already made a good start to their future together – after all, a personalised story is far more romantic than the standard “I do”‘s. 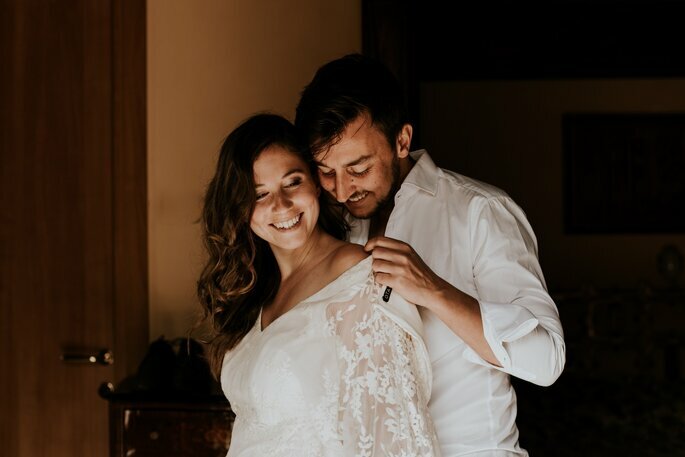 The vendors who attended the wedding were also accompanied by the wonderful Kleine Verhalen Videography, who made a beautiful video of the wedding. 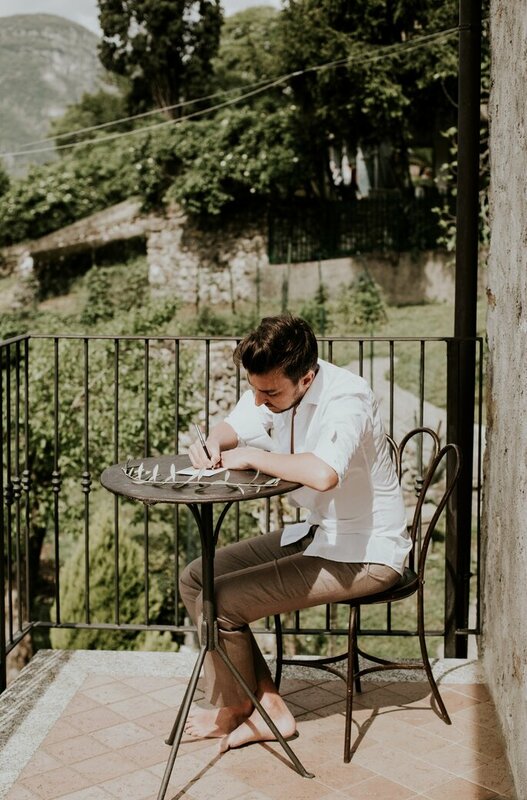 High up in the mountains, looking out towards Lake Como, you can catch a glimpse of the beautiful city of Bellagio. 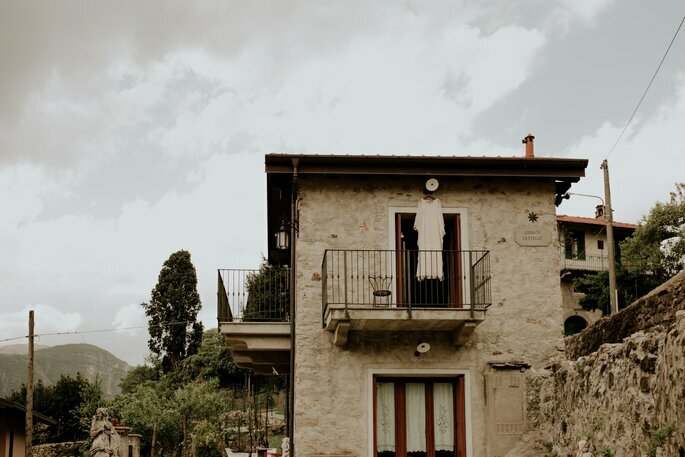 On the edge of the lake, restaurants with terraces and steep alleys lead step by step to the upper Romanesque San-Giacomo Church. 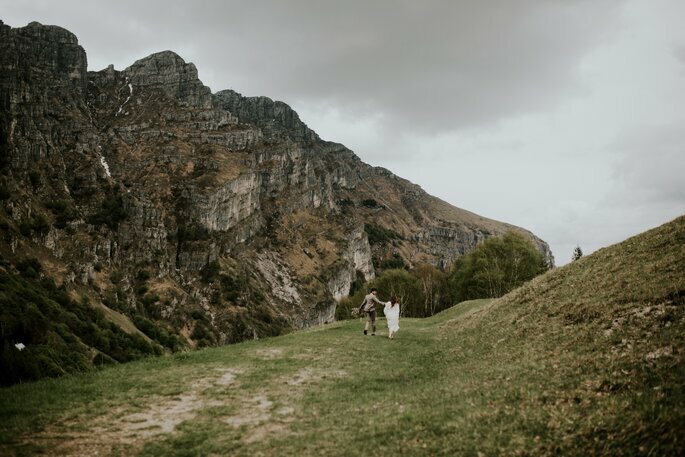 The dream destination for such a special adventure! 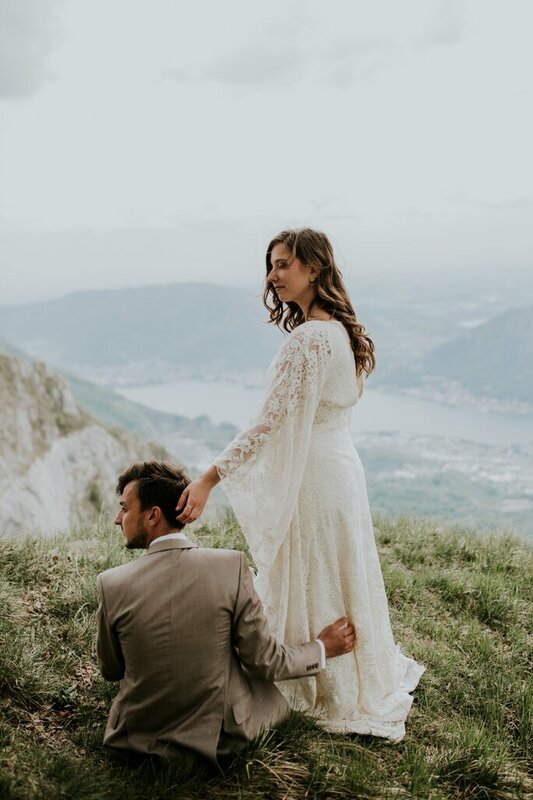 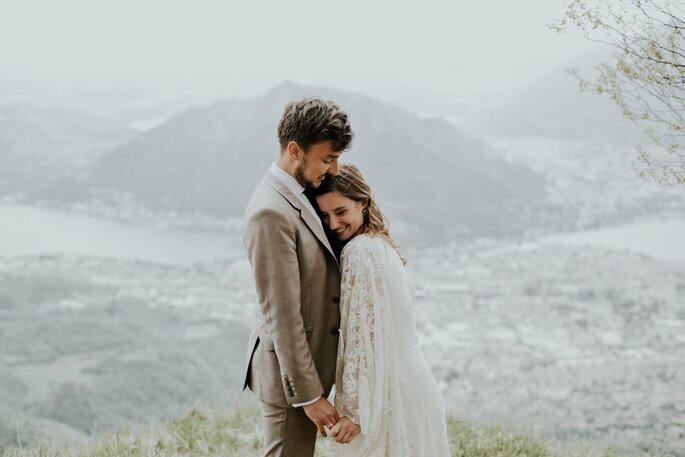 Credits: Organization & videography – Kleine Verhalen Videografie; Organzation & photography – Leonne Photography; Wedding dress – Otaduy van White & Ivory; Flowers – De Bloemenkeuken; Jewellery – Bobini Roots; Location – Lake Como; Models – Jan-Willem and Charlotte; Invitations – KIJK Kalligrafie.